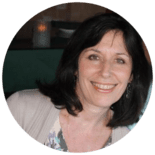 Fran Mendelowitz, LCSW has conducted over 1000 interactive groups and workshops and has worked extensively in the fields of mental health, social service, parenting, non-profit program development and management. Fran’s expertise in clinical practice, group facilitation, and public speaking spans 30 years. She holds a BA from Washington University in St.Louis and two master’s degrees; one from Columbia University School of Social Work and the other from the Jewish Theological Seminary. Fran brings keen insight, sensitivity and professionalism to each program. Alicia Bagley is a NY based actor who has extensive experience teaching and mentoring children and teens. Alicia Bagley studied at the William Esper studio and Stella Adler studio of acting. Her credits include Hair, Rent, Hairspray and more. Alicia has extensive experience teaching and mentoring children and teens, having worked at Black Teens Rock and Camp Ramah in the Berkshires. Alicia has taught esteem building, vocal skills and costume design to students and campers. Allison Lieber is a Healthy Steps Specialist at Brookdale Family Care Center. Previously, Allison was a Special Instructor in the Manhattan Early Intervention system. She specialized in Applied Behavior Analysis (ABA), the application of behavioral and learning theories to address targeted behaviors in children under age three with special needs. Allison earned a B.S. in Psychology and Social Policy & Practice from Tulane University and an MSW from Columbia University School of Social Work. She has a post-masters certificate in Infant Mental Health and Trauma from Adelphi University. Allison has experience in child development, group play therapy and parent counseling. Andrew Belinfante is the Director of Engagement at JDC Entwine. Andrew has worked in both formal and experiential Jewish education for over ten years, having previously worked as Director of Programs at Mechon Hadar. He is also a long-time member of the Camp Ramah community and served as their year-round Program Coordinator. Andrew holds a Master’s Degree in Education from Bankstreet College where his area of focus was community-based learning. Andrew writes articles on social and emotional learning and visual storytelling. Andrew Davies is an improviser and facilitator who has studied English Literature, Improvisation and Facilitation. Carley Colbert is an actor/social worker who received her undergraduate degree in theatre from SUNY New Paltz and Masters degree from Columbia University’s School of Social Work. Carley spent a semester studying with the Accademia dell'Arte in Arezzo, Italy where she fell in love with physical theatre. Credits include: Three Sisters (Equity Showcase) at 133rd Arts Center as Irina, The Hunting of the Snark as Co-Deviser at The Players and University of Michigan, The Flowers of Fantastico with FringeNYC playing Multiple Roles, Are You There Zeus, It's Me Electra at the Bleeker Street Theatre, etc. Carley can be found participating in interactive theatre such as Therapeutic Clowning. Elana Mendelowitz received her B.A. from the University of Michigan - Ann Arbor and her Ph.D. in clinical psychology from the Ferkauf Graduate School of Psychology at Yeshiva University. Elana has acted in numerous InterACT New York and Mental Health Players programs and has worked with children and adolescents of all ages as a teacher and as a camp counselor. In addition to providing a myriad of psychological interventions to patients in and out of hospitals, Elana is passionate about mental health education and enjoys working with people of all ages. Hannah Kiem is an NYC based actor and a graduate of NYU Tisch, where she earned her BFA in Drama with a minor in Jewish History and Civilization. Hannah Solow is an NYC based actor, singer, writer, and improviser. Hannah received her BFA in drama from New York University's Tisch School of the Arts and is a proud member of the Actors' Equity Association. She has performed at The Public Theater, Jazz at Lincoln Center, the Orange County Performing Arts Center, and the Lucille Lortel (as a crocodile made of trash) among other places. You can find her performing regularly at the Upright Citizen’s Brigade with musical improv team, Rumpleteaser, and house sketch team, Night Eaters. She teaches improvisation to students pre-K through fifth grade in both Manhattan and Brooklyn. They are funnier than she is. She is honored to be a part of InterACT. Check out www.hannahsolow.com for more information. Jacob Samuels is a New York based teacher and performer pursuing a Masters in Education from Hunter College and he holds a B.F.A. from NYU's Tisch School of the Arts and a Certificate of Study from the Royal Academy of Dramatic Art in London. Jacob works as an elementary school teacher, an artist, and a photographer, with his photo work featured on JacobSamuelsPhotography.com. As an actor he has performed in 36 states and on cabaret stages across New York City. His love of the arts, combined with his interest in broadening peoples' perspectives, makes for an exciting partnership with InterACT. Sydni Beaudoin is a NY based actor whose credits include: From Nowhere, Girls (HBO), Happyish (Showtime), Alpha House (Amazon Prime), The Leftovers (HBO), Coco, Spawn and 13 Going on 30. Sydni Beaudoin's credits include: From Nowhere, Girls (HBO), Happyish (Showtime), Alpha House (Amazon Prime), The Leftovers (HBO), Coco, Spawn and 13 Going on 30. A graduate of NYU Tisch School of the Arts, she has also performed in Broadway shows such as Mamma Mia and the new Broadway- bound musical, Gotta Dance, directed by Jerry Mitchell.